Anyone can create a product. That is not the hard part. The hard part is selling the product. Gone are the days when an advertisement was all that was required for marketing products or services. Modern marketing has made it’s way and it is all about measurable engagement and a scalable approach to understanding your audience and aligning your marketing efforts to their needs. Modern marketing is all about customer experience at every touch point. It is about building relationships with customers by leveraging various digital platforms for marketing across multiple channels. 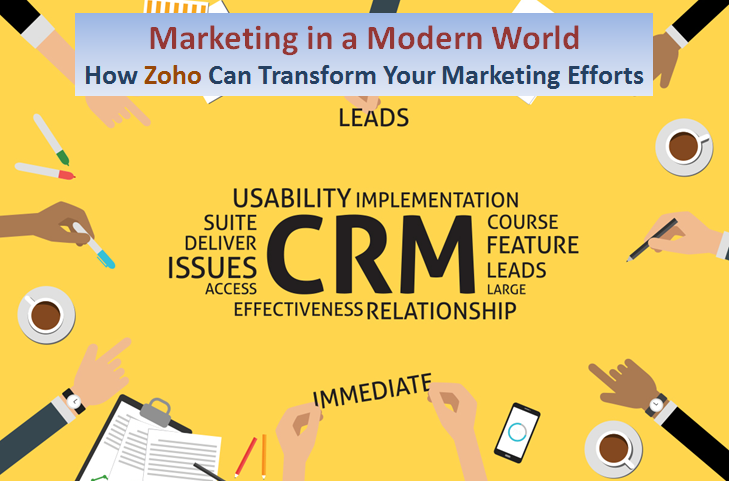 Zoho’s rich marketing functionality empowers planning, awareness, lead conversion, nurturing, and sales. Analysis of the buyer’s journey coupled with Zoho’s automation features enables sales & marketing management to map processes into your technology. Triggered follow-up and task delegation to your sales team keeps your organization on the same page and engaged with leads and customers. With Zoho’s marketing campaigns and related functionality your team can run campaigns, qualify leads, pass them off to sales and maintain a view of your activities and the relationship the entire time in your CRM. Using analytics, Zoho CRM marketers gain the competitive advantage of being able to continually adapt their marketing plan according to customers’ needs. Let’s look at an overview of Zoho CRM campaign management tools. Campaign Management – Campaign management allows you to effectively plan the campaign, prepare your mailing list and keep track of the campaigns in your Zoho CRM account. You can create the campaign, link other records to a campaign, link multiple leads or contacts to a single campaign, and link one lead or contact to multiple campaigns. Zoho includes abilities to score leads, measure success, and track engagement. 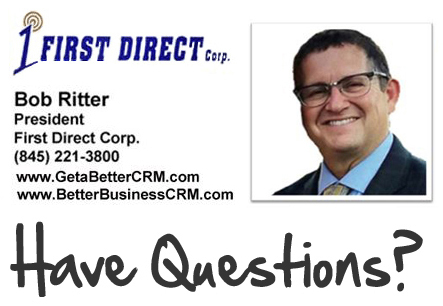 Web Forms – Web Forms allows you to collect the information of the visitors on your website into your CRM system. They are designed to automate the importing of data from websites into Zoho CRM. Web forms provide you support in the form of leads, contacts and any other custom modules that you have in your account. Once a lead engages with your site through a form the link is established in your Zoho CRM. Zoho tools such as Chat, Survey’s Auto-responder emails, and prioritized/ranking can be used to continue engagement and convert leads. Zoho CRM for Google AdWords – Google Ads is a powerful online advertising program that helps you reach out to new customers and increase sales. Use Zoho CRM for managing and tracking your Google AdWords account. The Zoho CRM for Google Ads imports your Google Ads marketing investments into Zoho CRM. It also allows you to keep track of which keywords and campaigns are responsible for sales. Thereby, letting you earn the better return on your online marketing investment (ROI). With the integration to Google Analytics your firm can maximize AdWord spending. Email Marketing with Zoho Campaigns – Only targeted mass emails offers the efficiency necessary to achieve the repetition and relevant messaging to your database of leads and customers that is vital to a long lasting relationship. Advanced email features found in Zoho provide the personalization, templates, timed follow-up, triggered responses, and tracking that close the loop between CRM and Email. Managing the subscription preference of your contacts can not be taken for granted, and it is not with Zoho’s list management and integrated Mass Email functionality. SalesIQ – This feature of the Zoho platform tracks your visitors from the point they are identified. Any interaction with your campaigns enables you to monitor their future engagement with your website. SalesIQ provides a view of traffic on your site that identifies your visitors and let’s your monitor and interact with native website Chat features, or with integration to Slack. Such intelligence is linked to their Zoho CRM lead or contact record for future reference. Getting the most out of your Zoho system may mean leveraging the resources of experts. When that’s the case, turn to First Direct Corporation. As a Zoho Authorized Partner our Zoho experts can help achieve better results in less time. Speak to our Zoho experts today!